Following on from our previous article on 20 important points to check before buying property in Bali, we have found another great resource article from Balipod forum which you can use as a starting point for those who are contemplating a property transaction. As a foreign individual, you cannot own freehold land in your name in Indonesia (Hak Milik title). If someone tells you otherwise, they are either lying to you or are woefully uninformed. There are some company structures that may allow it, but you would need to do your own homework on this option. While using an Indonesian nominee to own the land on your behalf is a popular workaround for many foreigners wishing to ‘own’ freehold land in Indonesia, note that this arrangement would probably not stand up in court if there is a dispute between you and your nominee. Some foreigners have tried a ‘belt and braces’ approach to using a nominee structure by having, for example, mortgage agreements in place secured by the land, a lease over the land on top of the nominee arrangement, etc. Whether these would stand up in court is anyone’s guess, as far as I know there is no legal precedent and you are taking a chance on an Indonesian court supporting a foreigner over a local in event of dispute. A long-term lease is a tried and true method for foreigners to control land, and is fully supported under Indonesian law. If you are married to an Indonesian and do not have a prenuptial agreement in place, your spouse technically cannot own freehold land in Indonesia. Why is this? On the one hand, an absent prenuptial agreement means that Indonesian law views property as co-owned 50/50 by a married couple. On the other hand, the Indonesian constitution provides that only Indonesian citizens can own freehold land. Regarding mixed marriages, this conflict has been resolved in favor of the constitution, so an Indonesian married to a foreigner without a prenuptial agreement loses the right to own freehold land. While this shouldn’t present any problems at the point of initial purchase (the seller just wants your money after all), issues will arise at the next point of sale, when the potential buyer’s notary will ask for a no objection declaration from the seller’s spouse, ie, you. This is when things could get sticky, as there would technically be a cloud on the title, which the notary may not be able to legally and inexpensively resolve. For those contemplating marrying an Indonesian and wishing for their spouse to continue to enjoy the right to own freehold land in their own name, I would recommend engaging a lawyer or notaris and entering into a prenuptial agreement in Indonesia. Make sure it is registered before the wedding and also make sure that your marriage is duly registered in Indonesia. Note that a prenup can also protect the foreign spouse in the event of a subsequent dissolution of the marriage, especially where he/she owns a business or has other individual assets in Indonesia. We have written a separate article regarding prenuptial and postnuptial on this link. Ensure that the notaris confirms that the vendor / lessor owns the property free and clear, that the land certificate accurately describes the property that you are acquiring, and that the property is not in a ‘green belt’, too near to an important temple or have any other impediment that would preclude constructing a building (assuming that is your objective). Consider having a survey done to confirm the boundaries. This is not expensive, and if the property is on a slope or has a lot of terracing, consider asking the surveyor to do a 3D contour map as well. Get this in a digital file – it will be very useful for your architect later. There’s also another important aspect related with point 2 above, which is the setback of the land, meaning the minimum distance which a building or other structure must be set back from a street or road, a river or other stream, a shore or flood plain, or any other place which is deemed to need protection. Also check that there are no impending plans to build a road or highway through or close to the property you wish to purchase. 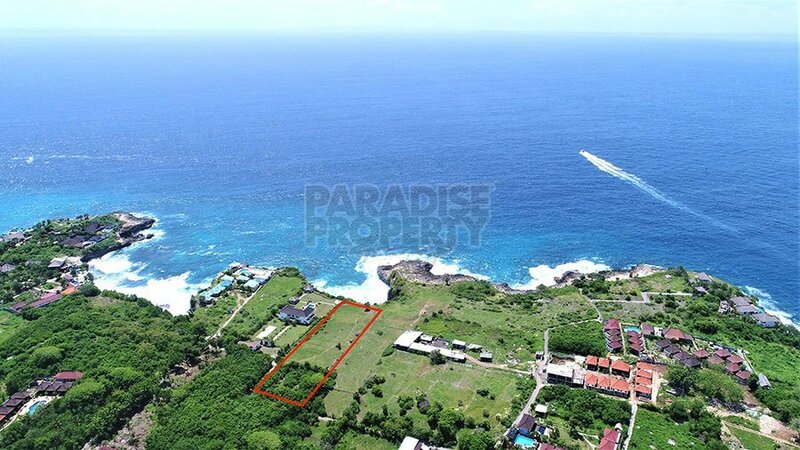 A significant amount of land in Bali is not yet properly certificated. If this is the case with your potential purchase / lease, be very careful. In order to get a certificate, a court case needs to be heard to establish ownership. This expensive process has many pitfalls. For example, during the court process there is a period where anyone having a conflicting claim to the property may present their case for ownership. If you have already agreed to purchase / lease the property before this objection period has expired, you can be certain that someone will appear out of the woodwork and lodge a claim and thereby significantly delay proceedings and the ultimate issuance of title unless otherwise compensated. Listen carefully to the advice of your notaris if the land does not yet have a certificate. Ensure that there is road access to the property. If this is via a public road, as confirmed by your notaris and your own observation and checking, you’re in luck. If not, then you will have to negotiate a separate agreement with the owner(s) of the property that will provide access to yours. Do this as part of the land acquisition process and make the closing contingent on having a written agreement in place for access. You’ll no doubt have to pay something for this, but if you do it at the same time as land acquisition, the price should be reasonable (if not, walk away from the whole deal) and your friendly vendor / lessor should be able to help with negotiations. Involve the notaris and have him/her draft the agreements. If you wait until after you have done your land deal to negotiate access to it, then heaven help you. You will need it. Conversely, be sure that none of your neighbors need to access your land to reach theirs. If so, this could raise sensitive issues as most likely they could not afford to pay you for this access and yet it would not go down well in the village for you to deny them access. Moreover, consider how the access would affect your building and landscaping plans. Take the advice of your notaris if this situation arises. Personally, I would consider walking away from the deal rather than open this can of worms. Ensure that there is electricity available reasonably nearby. The PLN can be very helpful with this and will usually tell you what it will take to bring power to your plot. In any event, however nice they may be, the PLN will not actually provide electricity until you have a valid building permit (IMB). Coming back to zoning, if relevant consider making it part of the deal that the land be reclassified from agricultural to residential. You will have to pay extra for this and it takes a bit more time (in our case an extra month) but then you have the peace of mind of knowing that once the transaction is done, you can actually build on the land. Unless you’re in urbanized South Bali, water will be via a well or bore. If you’re concerned about this, have an expert come and give you an opinion before you complete the purchase. If the property is on a slope and you see signs of erosion, you may wish to have a soil study done before you agree to the deal. Also, take note of the location of any nearby rivers on the same level as the land. Flooding is not uncommon during the rainy season. If the land is currently rice paddies, and you don’t mind what some would consider political incorrectness by building over them, note that it could take eight months or more after the last harvest before the soil is dry enough to build on. If you’re planning to rent out a villa under a pondok wisata license, learn the requirements before you agree to acquire the land. If you and your notaris have included any conditional items in the P&S or lease agreement, tie the payments to the achievement of the conditions. In other words, keep the vendor / lessor motivated to fulfill the conditions and close the deal. Once you’ve handed over the money in full, you have very little leverage left (some would say zero). Once the lease has been registered or the title is legally in the name of your Indonesian spouse (with whom you have a validly registered prenup), congratulations. It is beyond the scope of this post to talk about building, however a final piece of advice and caution is that you must obtain a building permit (IMB) before you start. Anyone who tells you that you can start building first and then apply for an IMB is wrong. Yes, it does happen, but it’s not legal and puts you at the mercy of the authorities should they wish to make an example of you, or just extract a significant financial penalty. Also, as noted above, the PLN does not provide an electricity hookup to the land until there is a valid IMB. Last but definitely not least, it is very important to introduce yourselves to the headman in the banjar. There is a mix of opinion on this board as to the timing of this, ie before or after your transaction. We did it after, but nothing would stop you from doing it before and in any event I’m not sure that there is any right or wrong as to the timing. Not doing it at all, however, is a big mistake. At this meeting, it would be courteous to state your intentions regarding the property (building a family villa, having a pondok wisata , etc., living in the community full time, part time and so on), and also to confirm that you are keen to be a member of the community and to contribute as required. In our case, we were advised that this would be a small monthly security fee once we relocated to the banjar, and that any contributions for major ceremonies would be most appreciated. The headman also very diplomatically informed us that unemployment was a big problem in the banjar (as it is all over Bali), so that if we needed help (eg, gardener, pembantu, driver, etc.) it would be great if we could consider people from the community for any available positions. Not unreasonable at all in our view and we will heed this suggestion. One final piece of advice. Be patient, take your time. If you don’t understand something, ask. Hope for the best, but be mentally and financially prepared that if something can go wrong it just might do. Treat the transaction with much more care and preparation than a similar purchase in your home country, not with less like so many seem to do in Bali. And finally don’t try to force through a deal that doesn’t seem to be working out. If it’s not meant to be, it’s not meant to be. Bali is a big and beautiful place, and there will always be another opportunity.